There is nothing better than a Sunday morning breakfast. I tested these out over the weekend and they are delicious. 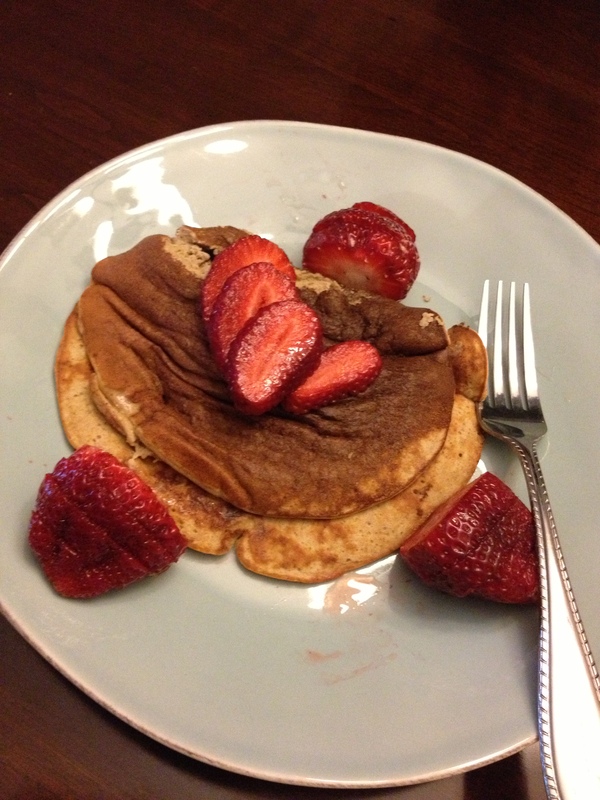 Packed with protein these pancakes will have you begging for more! Top with fresh fruit, honey or maple syrup. Even plain they are still yummy! Heat skilled with coconut oil over low to medium heat. Place peeled bananas, almond butter, and eggs in blender or food processor. Mix until blended. Once skillet is hot pour batter and brown pancake on each side.